SKU: N/A. Categories: ANF Members Only, ANF Gear, Apparel. Tags: anf, farmers, iowa. Newly released! 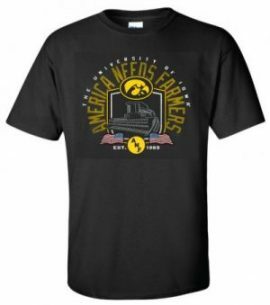 By popular demand, we created this new America Needs Farmers design. Printed on a black Ultra cotton tee. Show your Hawkeye pride and ANF pride!